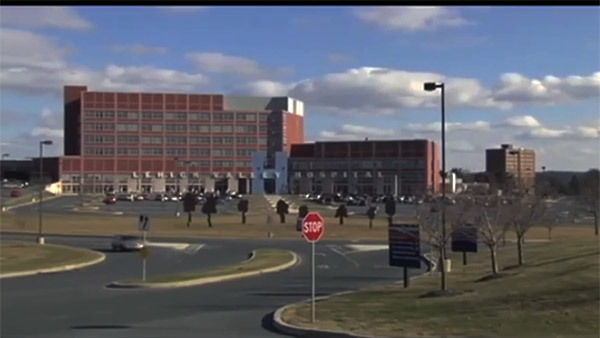 BETHLEHEM, Pa. (WPVI) -- Authorities say a nurse was stabbed at a Pennsylvania hospital and a suspect has been charged with attempted homicide. Police in Bethlehem said the male nurse was stabbed at about 9:30 p.m. Friday at Lehigh Valley Health Network-Muhlenberg. A hospital spokesman said Saturday morning that he was listed in stable condition. Police chief Mark DiLuzio said the suspect fled but was arrested nearby within 10 minutes. Nineteen-year-old Joshua Rafael Santos was charged in Lehigh County with attempted homicide, aggravated assault and simple assault. Santos was taken to Lehigh County prison in lieu of $100,000 bail pending a July 10 preliminary hearing. Court documents indicate that he is to be represented by the county public defender's office, which couldn't be reached over the weekend to respond to the charges.